Premier Brands of America, Inc.
Premier Brands of America is a private labeler of foot care products sold primarily to chain drug stores. Significant volumes of product are wrapped and packed each day for shipment. The Wexler Automatic Banding machines play a major role in making this happen and providing a ship worthy package to our customers.  We have eight Wexler banding machines, which work for us 8 hours/day five days a week. These reliable workhorses band tens of thousands of product every week, which successfully survive shipment throughout the United States and Canada . These machines load and operate and adjust for various products easily, a must in our business with high volume and equally high variety. We have always found Wexler responsive and helpful to our needs. They provide a fine product with excellent support.